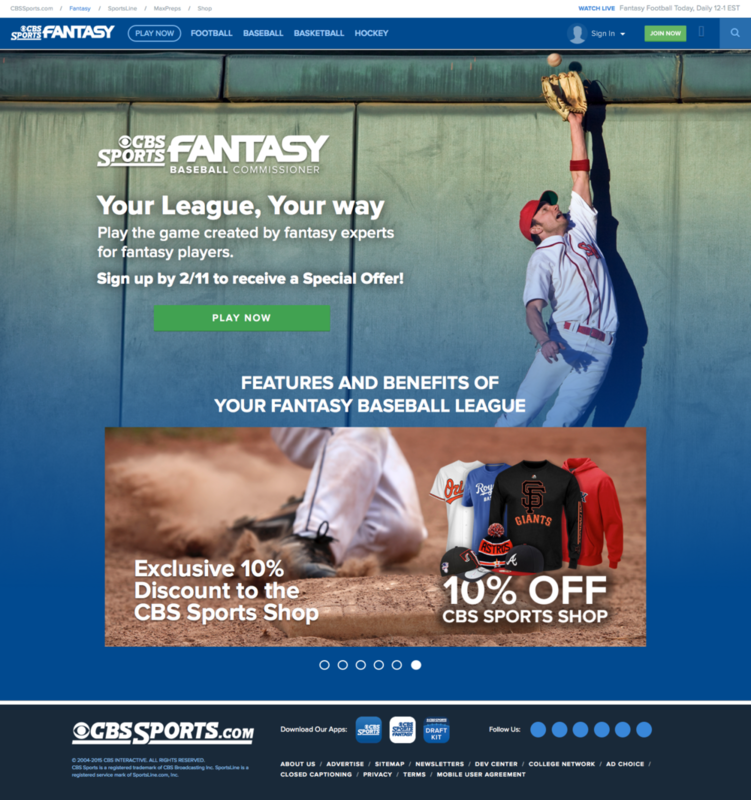 As the Marketing Designer for CBS Sports, it was my responsibility to coordinate and design a new look and feel for the 2016 Fantasy Baseball Landing Pages. 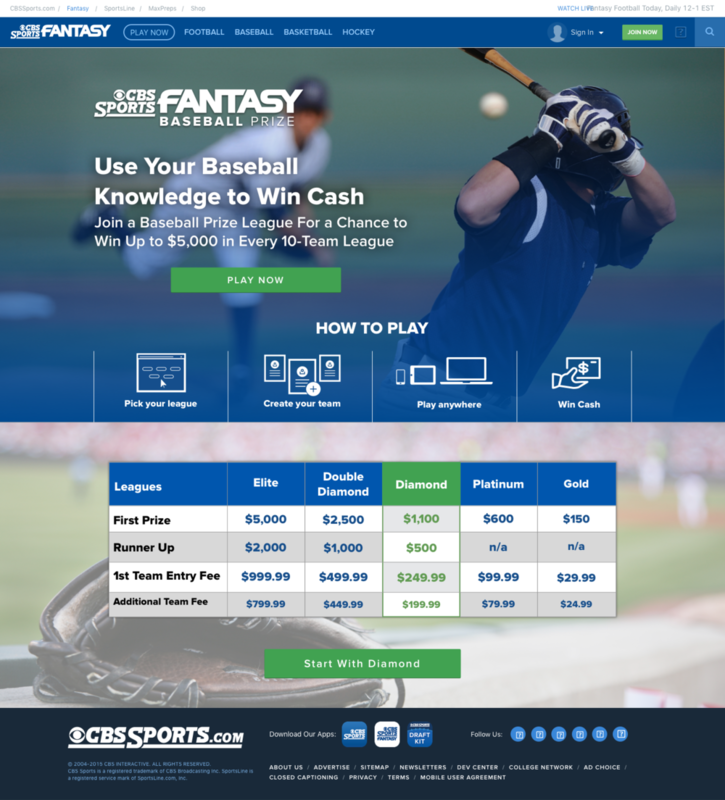 The web pages contained information on how to play each of the three fantasy games as well as insight into how to win big prizes. 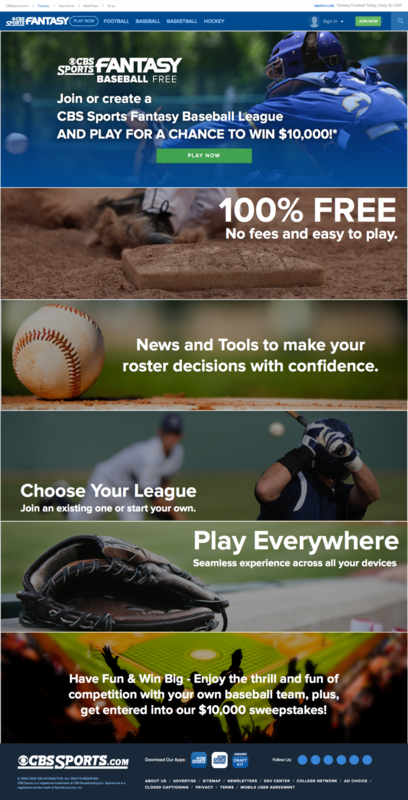 Using Adobe Illustrator to create logos, icons, and buttons for each of the four layouts, along with accessing the vast library of sports assets, I began by wire-framing images and body copy in Sketch. After finalizing a design, I then moved to building the tablet and mobile layouts as these pages were to be sent to the Product Team as a responsive designed site.